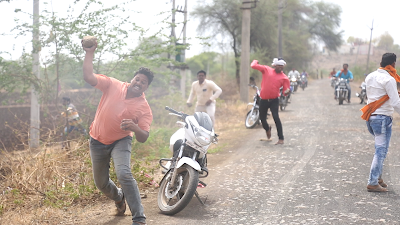 Stone pelting greeted activists associated with the well-known anti-dam civil rights organization, Narmada Bachao Andolan (NBA), on the state highway from Badwani to Nisarpur, near Rajghat, Madhya Pradesh, when they tried stopping three tractors filled with sand, allegedly being smuggled from the river. The incident happened soon after two of the activists, Rohit and Raja, tried calling the Badwani police station to visit the spot. 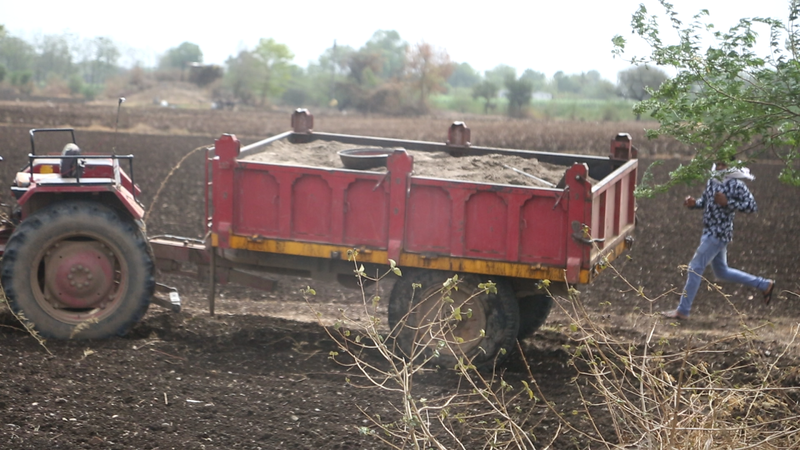 Finding themselves caught in a difficult situation, one of the three tractors emptied the sand on the road, a second one ran away in the opposite direction, while the third one, chased by NBA activists, was given protection by around 30 to 40 persons of the sand mafia, said NBA eye-witnesses. Soon, stone-pelting began, damaging the glass of the jeep in which the NBA activists had come. Rohit and Raja suffered minor injuries, but they saved their life by escaping in their jeep in the other direction. The tractor escaped. Local sources say, those involved in the incident were led by a BJP corporator from Badwani. The attackers included 30 people, mostly belonging to village Bhilkheda or Badwani town. Alleged NBA activists, the police, even as registering an FIR with "mild" clauses, refused to act, even though they had submitted all photographs and videos of the incident to police officers, and also identified many of those involved in stone pelting. Thereafter, activists visited the local mineral department on advise from the police. "There was a long discussion with mineral superintendent Sachin Verma. He said that all the rights of sand excavation have been given by the state government to the zilla panchayat, so they cannot take any action on any case of illegal sand mining", said an NBA communique. It added, "This way the administration continued moving activists from one place to another, but refused to take any action. The police has registered case against illegal sand mining and attack on NBA workers under Sections 341, 294, 323, 506, 427 and 34, but has not imposed Section 307 (attempt to kill)." According to NBA, "During the Narmada Seva Yatra, Madhya Pradesh chief minister Shivraj Singh Chauhan announced that illegal sand mining along Narmada would be totally prohibited, putting all the responsibility for this on the police administration, mineral department, Narmada Valley Development Authority, and politicians." "Yet", it said, "The alliance of sand mafia, politicians and administration remains intact. The quantity of quarries and of sand mining has increased considerably. As police, mineral departmrnt and district panchayat are not working together against sand mafias, the Narmada Valley is being pushed to the brink of death." Contending that sand mafia has the blessings of the rulers of Madhya Pradesh and their nominees, NBA said, "Despite the High Court and National Green Tribunal orders, illegal mining continues on the banks of Narmada, including in the submergence area, causing environmental damage. NBA has reported about this to the revenue and police department, yet things have not changed."